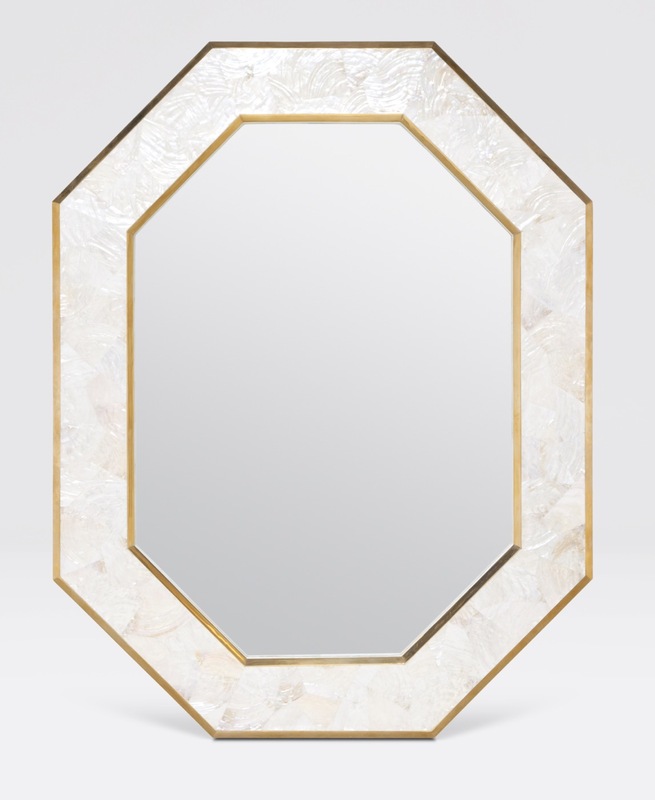 Add a touch of island elegance to your space. 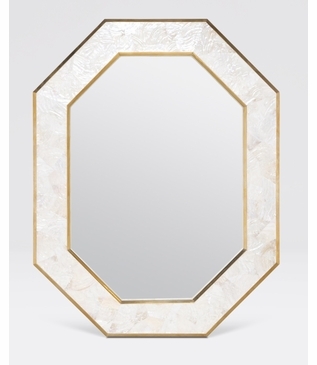 This mirror's handsome octagonal shape is framed in a border of shimmering shell tones accented with a shiny brass trim. Also available in brown.